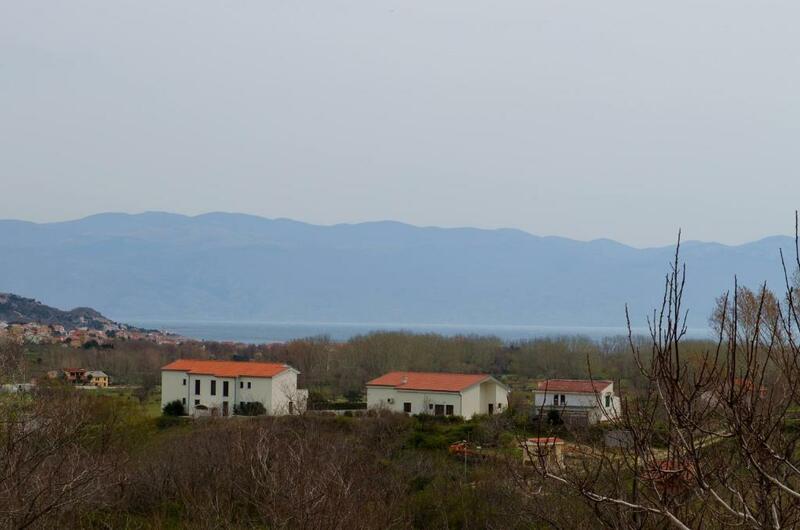 For us - great location, quiet and peaceful, close to the sea (about 2km, by bike: 5 min. Wonderful hosts, very helpful. We came with 5 bikes, and they gave us their own garage to store them, so we felt very safe and comfortable. They let us also to use their private washing mashine. So many thanks. 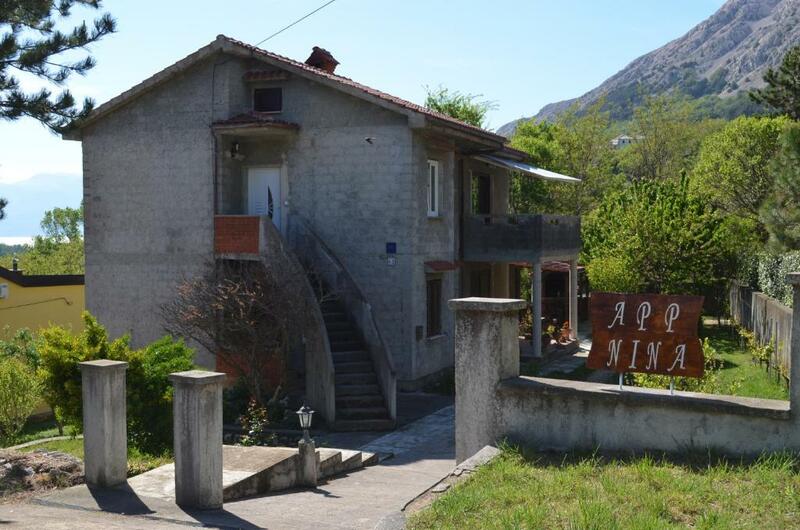 Quiet location but only 2kms from central Baska. Comfy beds. Staff molto ospitale, cucina fornita di tutto l'indispensabile posizione comoda e tranquilla. Alles war sehr sauber und der Vermieter war sehr sehr freundlich. Die Unterkunft hat eine sehr gut ausgestattete Küche die man auch sehr gut nutzen kann. Gyönyörű kilátás minden ablakból a hegyekre, a tengerre, csendes környezet, abszolút felszerelt konyha, rend, tisztaság, kedves házigazdák. Kedves házgazda, gyögyörü kiilátás hegyekre tengerre. Modern tiszta volt minden, teljesen felszerelt. Környék gyönyörű, csendes rendezett. Rengeteg látnivaló, A völgyben kecskék, birkák legelnek. Baska, strand 2-2,5km, gyalog 20perc. A parton az árak viszonylag olcsók, elfogadhatóak, rengeteg a street food-os. Ajánlom mindenkinek aki szereti a természetet, dombokat, hegyeket, nem rest sétálni kicsit. Tenger kristálytiszta, part kavicsos, wc tusi van. Panoráma fantasztikus. Lokalizacja u podnóża gór, z dala od zgiełku i w otoczeniu zieleni. 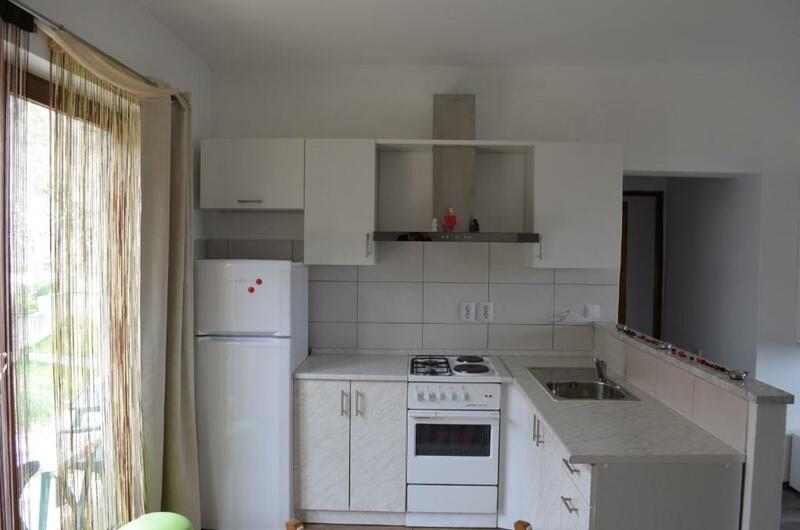 Wybraliśmy górny apartament i ten zdecydowanie polecamy. Dwie łazienki na 3 sypialnie i salon z dużym aneksem kuchennym, plus przydatny zadaszony taras. Bardzo dobrze wyposażona kuchnia. Mnóstwo akcesoriów i naczyń kuchennych. Ręczniki i podstawowe środki higieny dostępne jak w hotelu. Wyjątkowo czysto. Bardzo mili gospodarze. Łatwiej się z nimi dogadać po polsku niż po angielsku, ale było to niesamowicie urocze :) Sama Baśka jest pięknym miasteczkiem. Polecamy wąskie uliczki w starej części miasta. p.s. wszystkie załączone zdjęcia zostały zrobione z okien apartamentu. Хорошо оборудованная кухня, парковочное место в тени деревьев, размещение в стороне от дороги, близость к пляжу Башка. 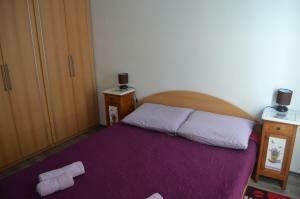 Lock in a great price for Apartments Nina – rated 8.9 by recent guests! 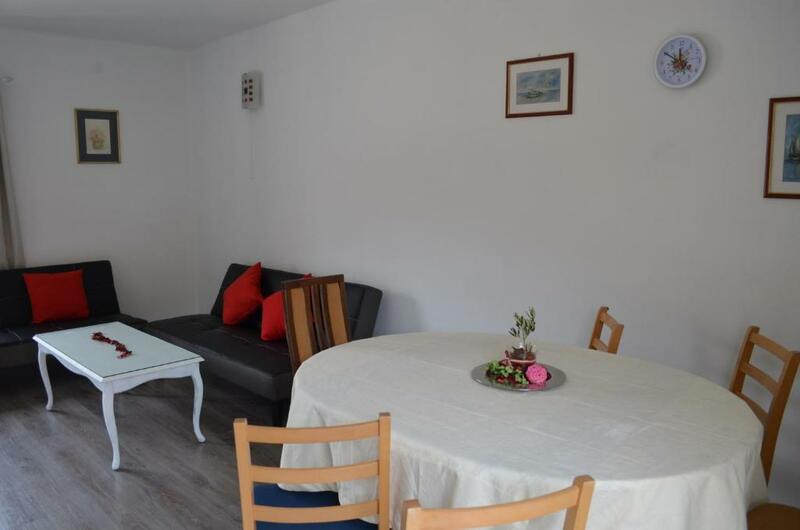 Apartments Nina This rating is a reflection of how the property compares to the industry standard when it comes to price, facilities and services available. It's based on a self-evaluation by the property. Use this rating to help choose your stay! One of our best sellers in Baška! 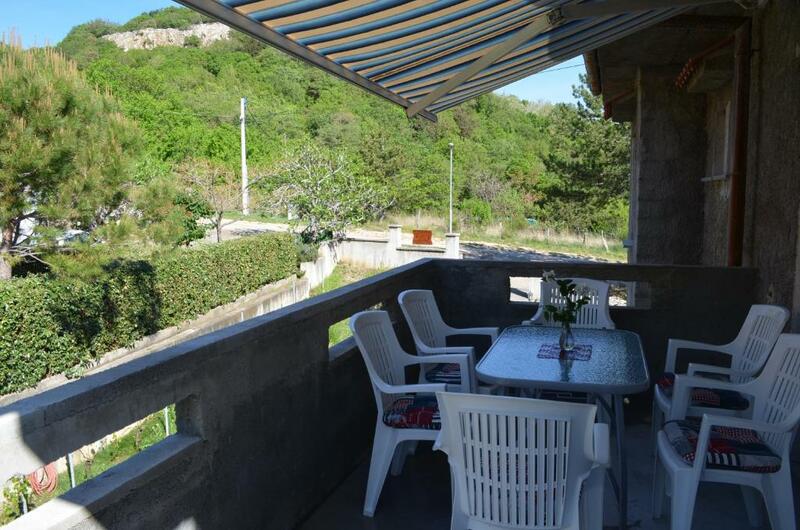 Surrounded with greenery and nature, Apartments Nina is located in Batomalj near Baška. The property is set near a hiking trail that leads to the 15th century Church of the Holy Mother in Gorica. Free private parking is available on site. The apartments come with a fully equipped kitchen and a dining area, as well as a bathroom with a shower. Guests staying at Nina Apartments also get to use the property's BBQ facilities. The nearest restaurant is 2,650 feet away, while a grocery shop can be found within 0.6 mi. 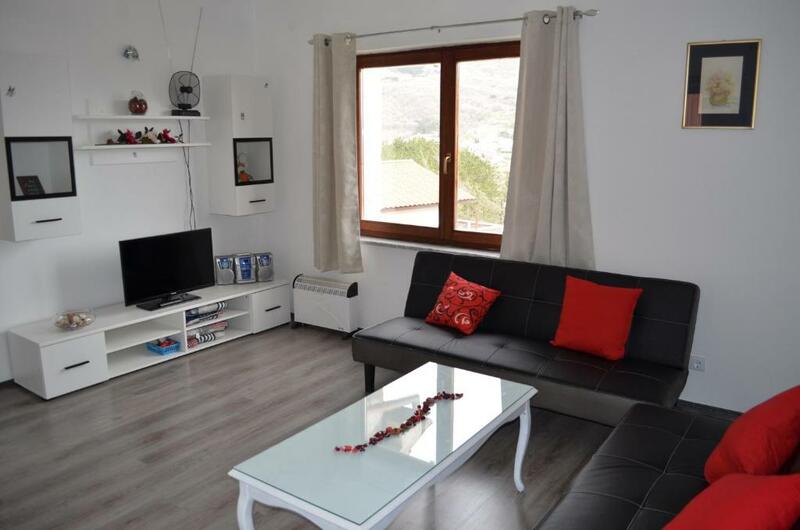 The apartment is 1.6 mi from the center of Baška, where you can find numerous cafés, restaurants and bars, as well as the nearest beach. Baška Bus Station is 1.6 mi away. 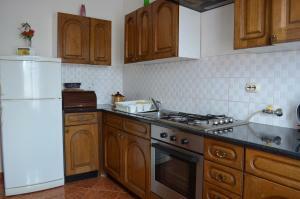 The nearest airport is Rijeka Airport, 31 mi from the property. When would you like to stay at Apartments Nina? This apartment overlooks the sea, mountains and the Church of St. John. Apartment has a private terrace or balcony. In this apartments the guest can enjoy the peace and nature, nearby is walking and cycling trail. The house is located close to the popular shrine. If you want to relax outside of the crowds, these apartments are for you. In the yard is a barbecue for guests to use. Apartment with three bedrooms has a nice view from the living room to the sea, mountains and greenery. House Rules Apartments Nina takes special requests – add in the next step! Please inform Apartments Nina of your expected arrival time in advance. You can use the Special Requests box when booking, or contact the property directly using the contact details in your confirmation. Air condition could help especially during very hot days.